Google Kubernetes Engine (GKE) is a managed, production-ready environment for deploying containerized applications in Google Cloud Platform. Launched in 2015, GKE is one of the first hosted container platforms which is built on the learnings from Google’s experience of running services like Gmail and YouTube in containers for over 12 years. GKE allows customers to quickly get up and running with Kubernetes by completely eliminating the need to install, manage, and operate Kubernetes clusters. Portworx is a cloud native storage platform to run persistent workloads deployed on a variety of orchestration engines including Kubernetes. With Portworx, customers can manage the database of their choice on any infrastructure using any container scheduler, including Kubernetes. It provides a single data management layer for all stateful services, no matter where they run. This tutorial is a walk-through of the steps involved in deploying and managing a highly available Cassandra NoSQL database on GKE as a Kubernetes statefulset. When launching a GKE cluster to run Portworx, you need to ensure that the cluster is based on Ubuntu. Due to certain restrictions with GKE clusters based on Container-Optimized OS (COS), Portworx requires Ubuntu as the base image for the GKE Nodes. The following command configures a 3-node GKE Cluster in zone ap-south-1-a. You can modify the parameters accordingly. Portworx requires a ClusterRoleBinding for your user. Without this configuration, the command fails with an error clusterroles.rbac.authorization.k8s.io "portworx-pvc-controller-role" is forbidden. You should now have a three node Kubernetes cluster deployed in Google Cloud Platform. Installing Portworx on GKE is not very different from installing it on any other Kubernetes cluster. Portworx GKE documentation has the steps involved in running the Portworx cluster in a Kubernetes environment deployed in GCP. Once the GKE cluster is up and running, and Portworx is installed and configured, we will deploy a highly available Cassandra statefulset. Portworx cluster needs to be up and running on GKE before proceeding to the next step. The kube-system namespace should have the Portworx pods in Running state. 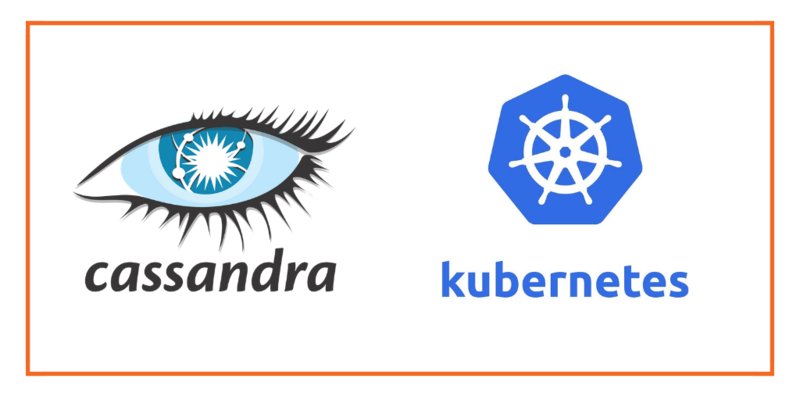 Once the GKE cluster is up and running, and Portworx is installed and configured, we will deploy a highly available Cassandra database. Notice the naming convention followed by Kubernetes for the pods and volume claims. The arbitrary number attached to each object indicates the association of pods and volumes. It’s a good idea to flush the data to the disk before initiating the snapshot creation. This is defined through a rule, which is a Custom Resource Definition created by Stork, a Kubernetes scheduler extender and Operator created by Portworx. Portworx can easily be deployed on Google GKE to run stateful workloads like Cassandra in production. It integrates well with K8s statefulsets by providing dynamic provisioning. Additional operations such as expanding the volumes and performing backups stored as snapshots on object storage can be performed while managing production workloads.